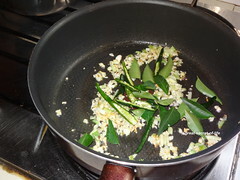 Heat oil in a pan and add white portion of spring onion and garlic. Fry till garlic is brown in color. 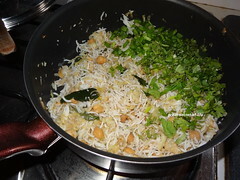 Add green chillies and curry leaves. Fry for 20 Sec. 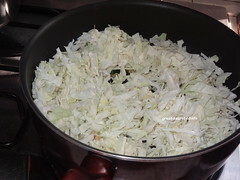 Add cabbage and fry it in high flame for about 3-4 mins. 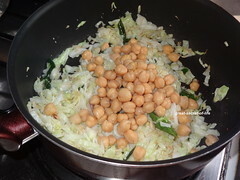 Add cooked Chickpeas. Fry for 30 sec. 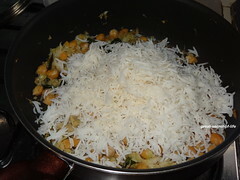 Add pepper, salt, soya sauce. And mix well. 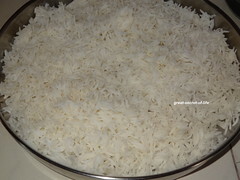 Add cooked rice mix well. Fry it in high flame for 3-4 mins. 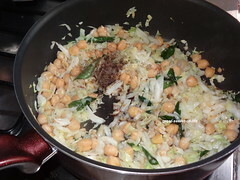 Add spring onions, coriander leaves and mix well. 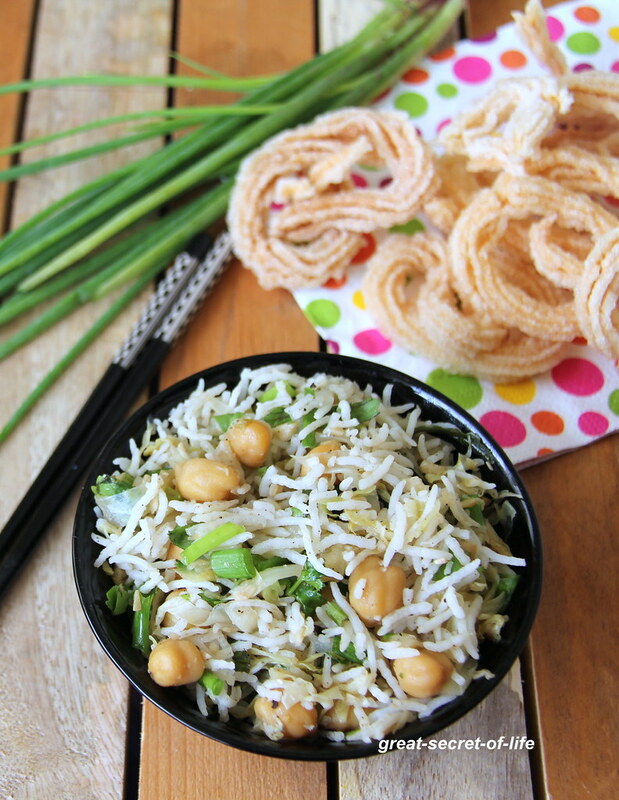 A simple and satisfying meal. 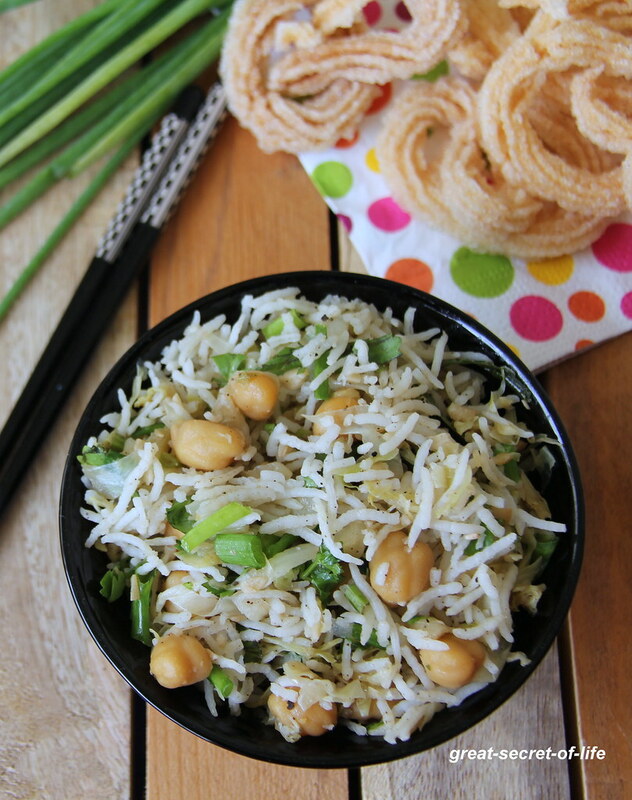 Lovely combination, quite a different fried rice. 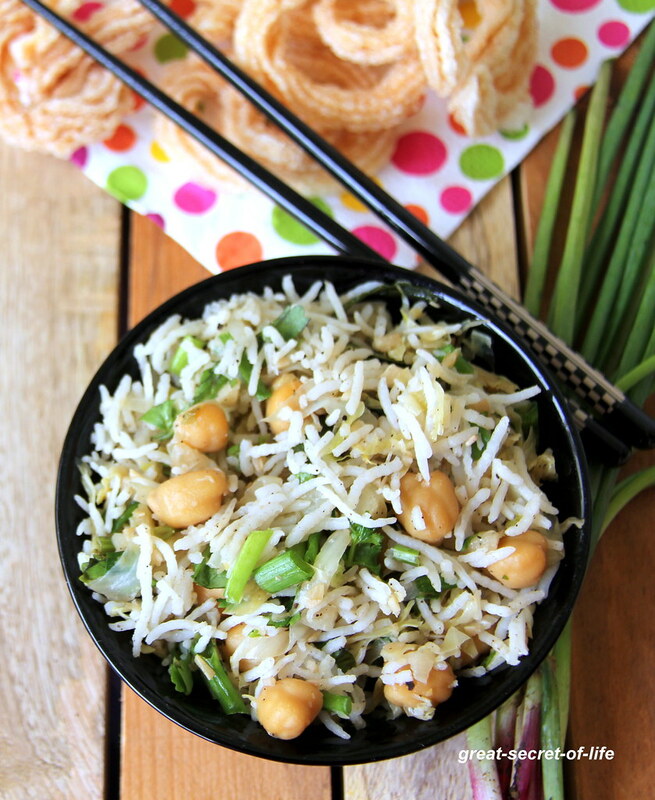 wow tempting and flavorful chickpea fried rice :) I wud love to finish that whole bowl ! !